I was fortunate to have been a board member of The Freethought Society our President, Margaret Downey came up with the idea of an atheist themed holiday display to by placed alongside the Christian and Jewish displays on the Chester County Courthouse in West Chester, PA. For the record, I initially did not like the concept, but Margaret is a very persuasive person. The Tree of Knowledge is an Evergreen Tree decorated with the laminated copies of atheist, humanist, science, history, and even religious book covers. The Freethought Society had our Tree of Knowledge on display for a few years before the Republican controlled county commissioners found legal ways to block our participation. Since then, Margaret Downey and others have fought and protested for the inclusion of the Tree with the Nativity Scene, the Christmas Tree, and the Menorah. 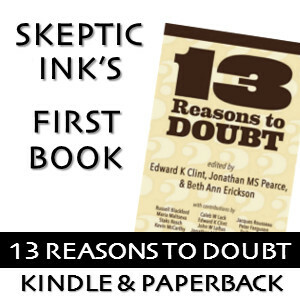 At one point, the plan was to show that the Tree of Knowledge is something atheists do. 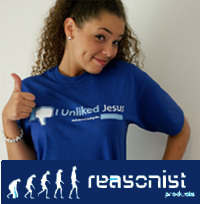 We wanted to make it a new atheist/humanist tradition for those in our community who are interested in created new traditions. I liked this idea even though I am not big on traditions. 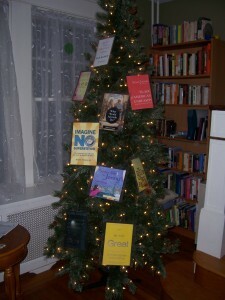 So one year, I created my own Tree of Knowledge in my home. But I also like the idea of a virtual Tree of Knowledge since most of our community has become an online community. So this year, I would like to make a virtual Tree of Knowledge that people can use as a meme or print out as a winter greeting card to atheist friends. I like to keep things current, so what fairly recent books would you like to see represented on this year’s Tree of Knowledge? I would like to feature a diversity of authors and books. If possible I would like to represent books published within 2015, but there may be a few that are older. Please leave your suggestions in the comment section below along with your reasoning why you think that book should be represented. 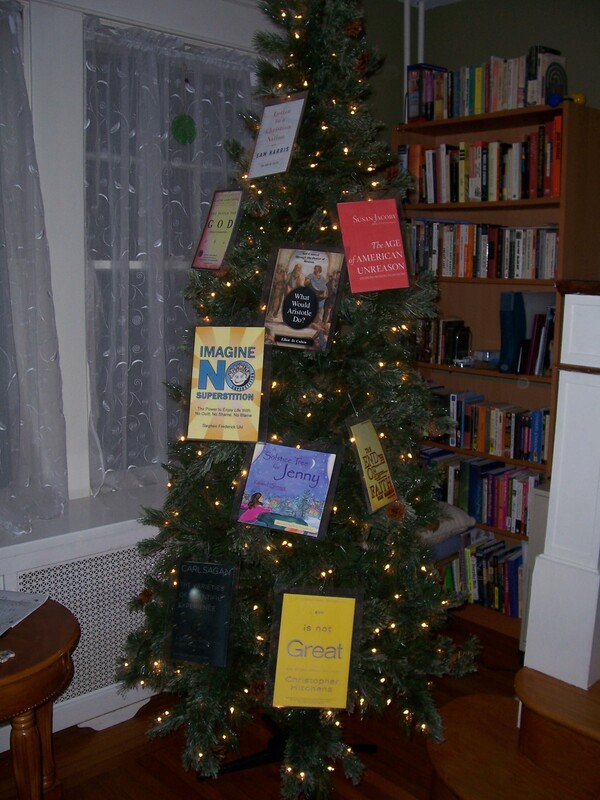 I will post the virtual Tree of Knowledge in early December with a list of the books included. I will probably make a sample greeting card for people to print out and send out as well.